My son has multiple food allergies, so dining out as a family is something we do not do on an ad-hoc basis but approach with a great deal of planning and care. This becomes a bit more complex when we are traveling or on vacation. 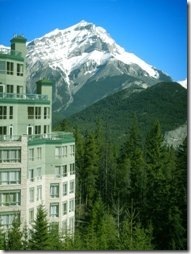 Given that we have family in Western Canada, one of our favorite places to vacation is Banff National Park. The opportunity to go completely off-grid and to hike, bike, horse back ride and just enjoy the magnificent Canadian Rockies is something that we look forward to. I don’t typically make a point of calling out places that we have patronized but this is an exception given that many families are in the same circumstances as mine when it comes to travel and food allergies. We had a great experience this summer (and for many years before) at the Rimrock Resort Hotel in Banff where the combination of Chef Guy St-Hilaire and the Food & Beverage Supervisor Mr. David Perry did an absolutely top notch job of addressing our concerns and coordinating the service that we received from any of the restaurants and from all the food service staff. And they did it in a friendly, personalized manner that made my son feel special and not different. He absolutely had a blast and we can’t ask for anything more than that. If you are traveling to the Banff area, my recommendation would be to give them a call before you get there, ask to speak to either Guy or David and let them know your food allergy concerns. I would bet you that they will take as good care of you and/or your family as they did mine.